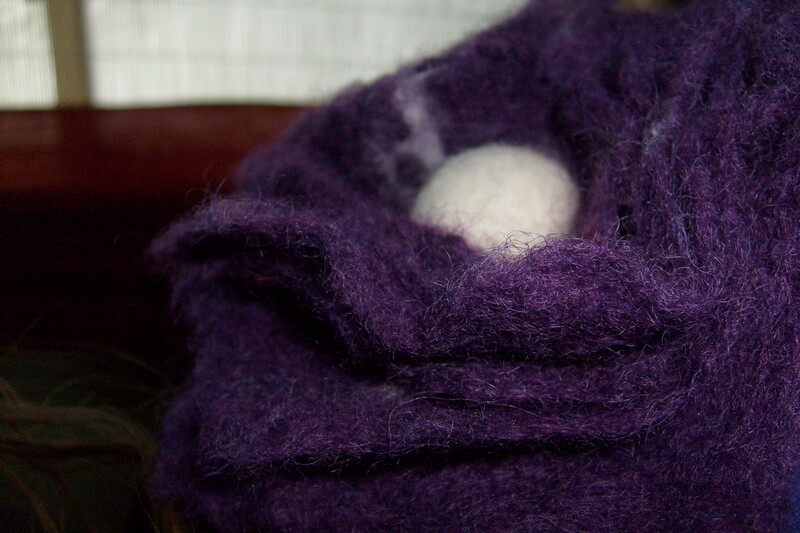 You are currently browsing the tag archive for the ‘Needle felt’ tag. 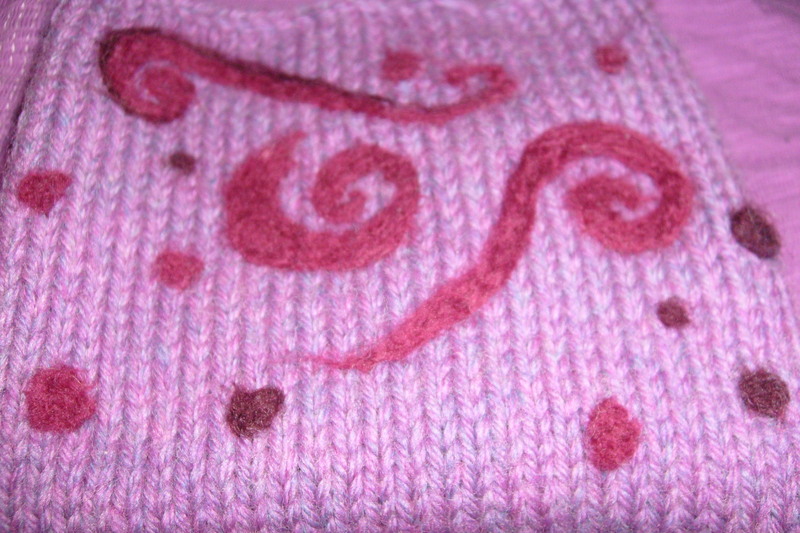 Well, I’ve finally got round to finishing and photographing my latest project. 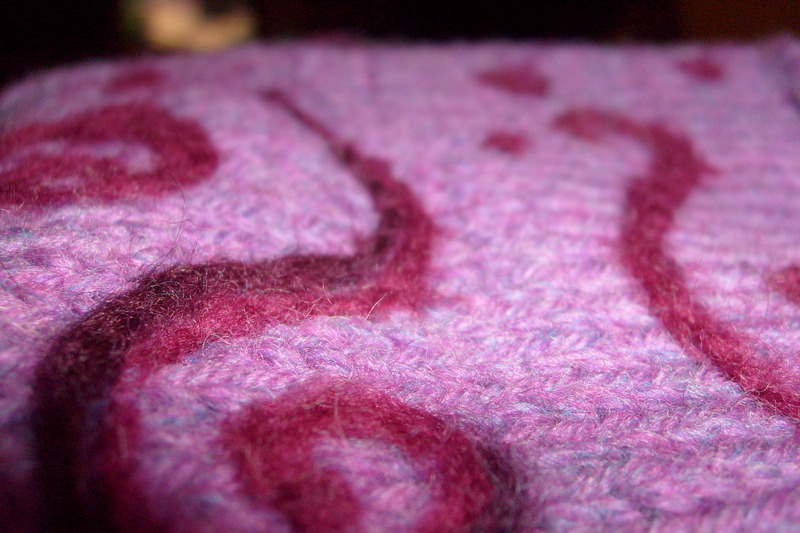 I am pretty happy with it but would appreciate any comments/feedback as I am still learning. 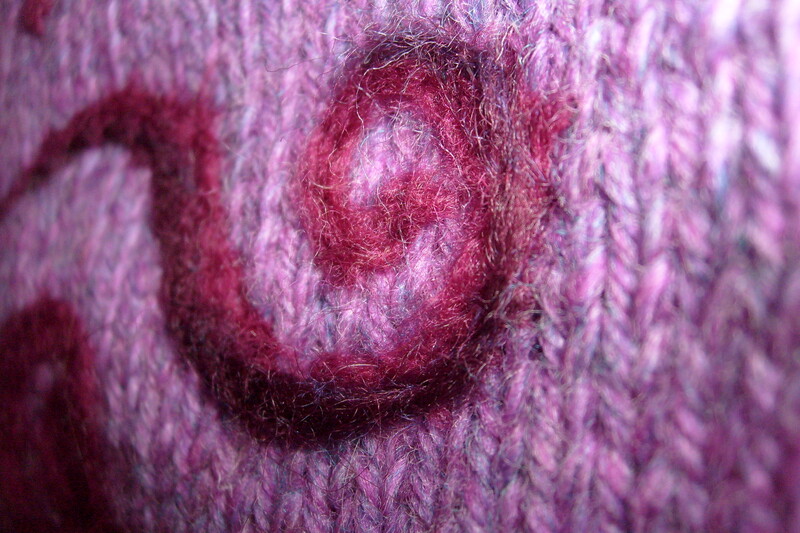 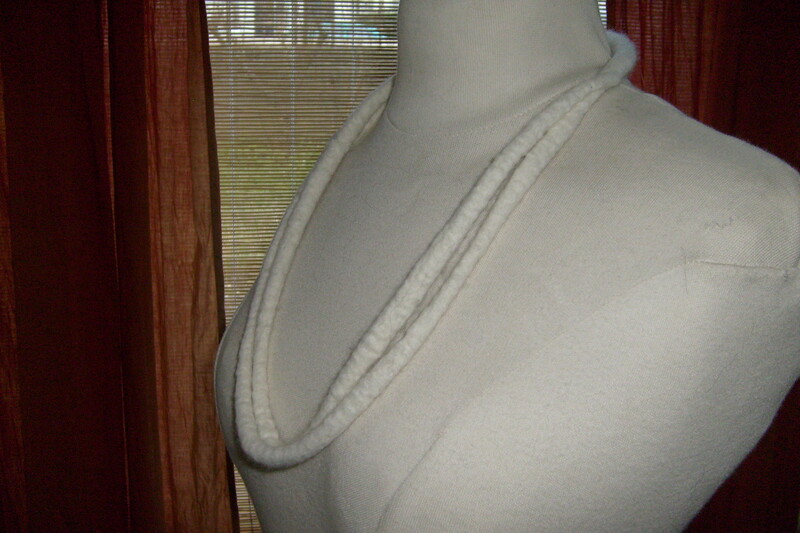 It was made with merino tops using the wet felting technique and is 3 layers thick – the first ‘inside’ layer is white. 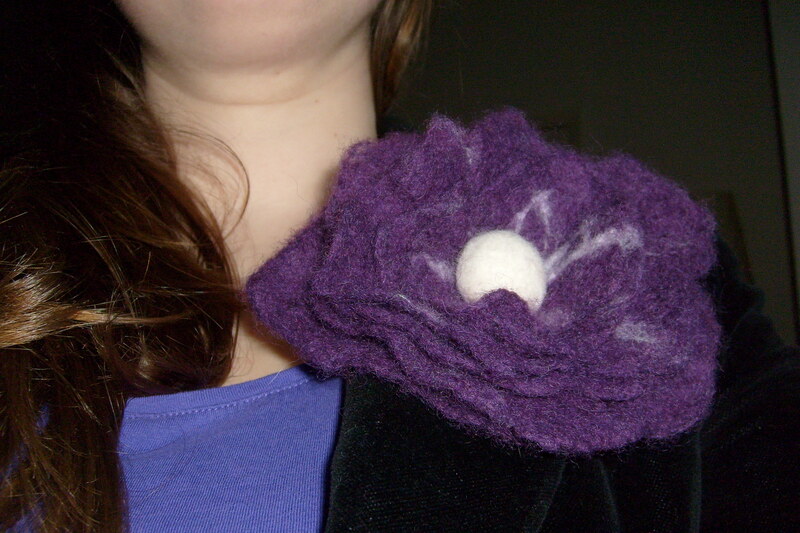 For the flower I just wanted to see what the felt would do so layered 5 whispy petals and added a little lighter and darker purple to add interest. 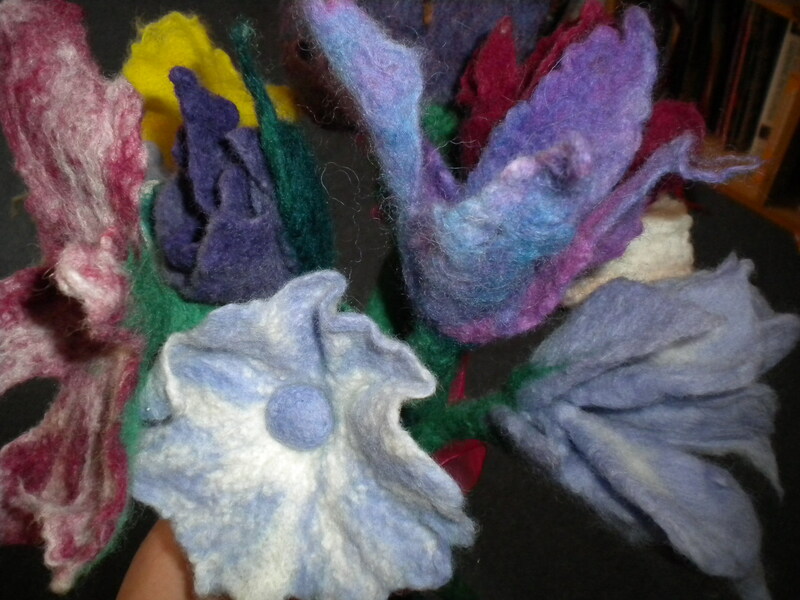 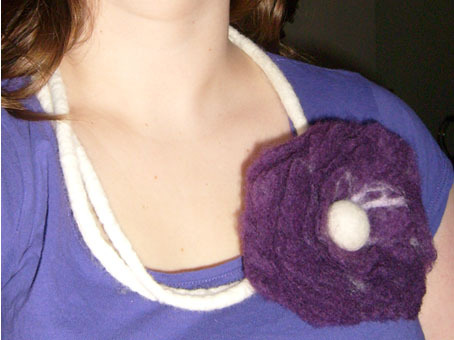 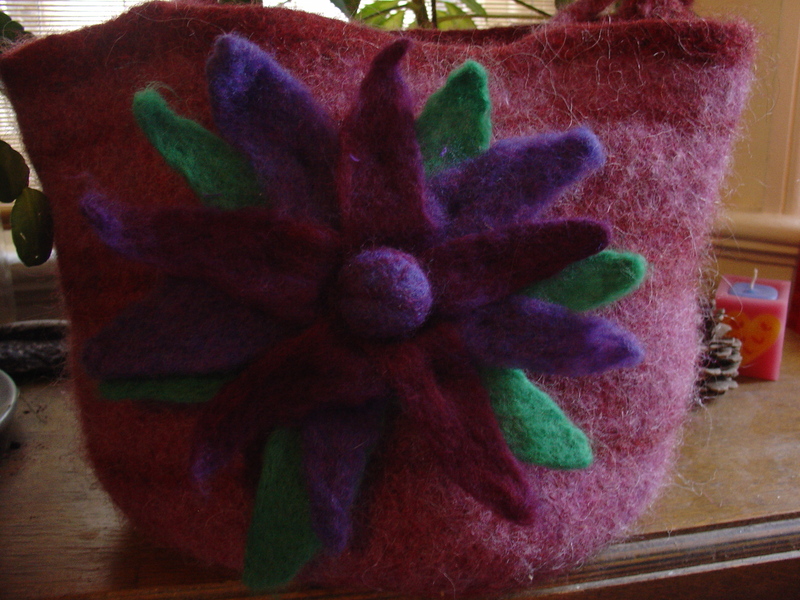 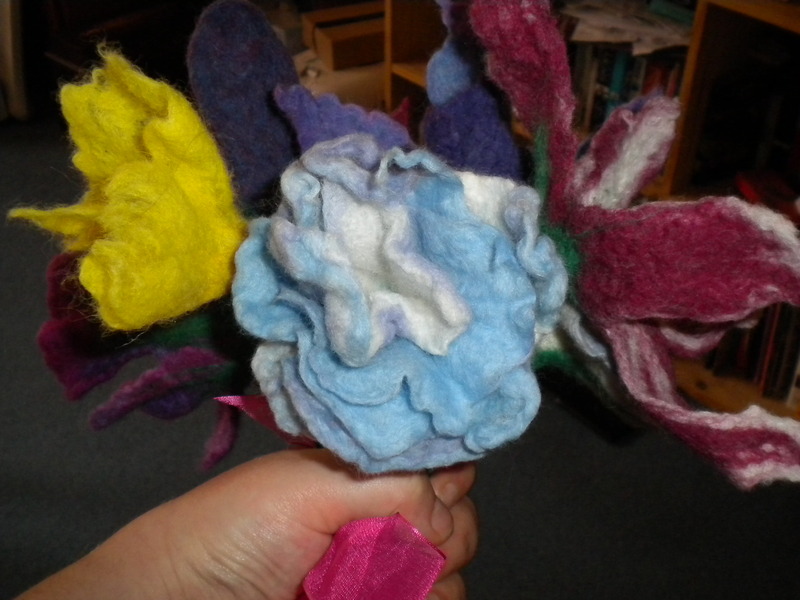 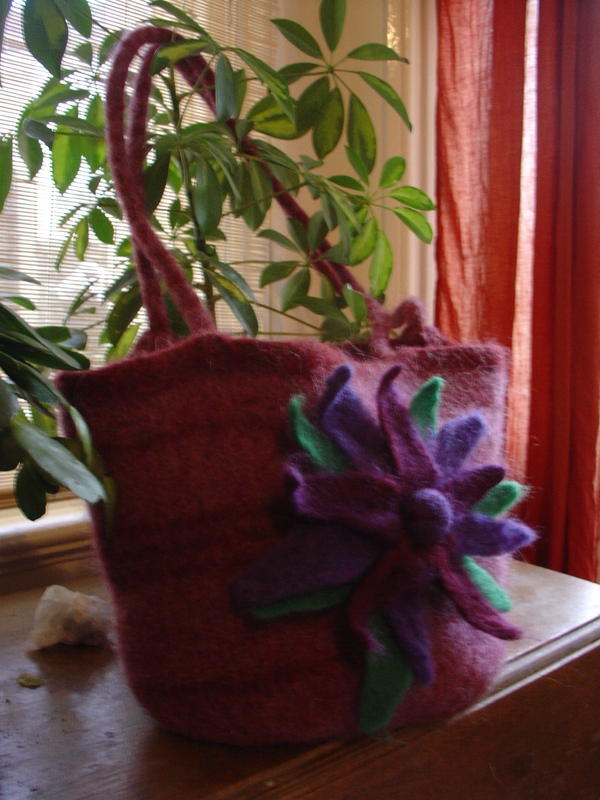 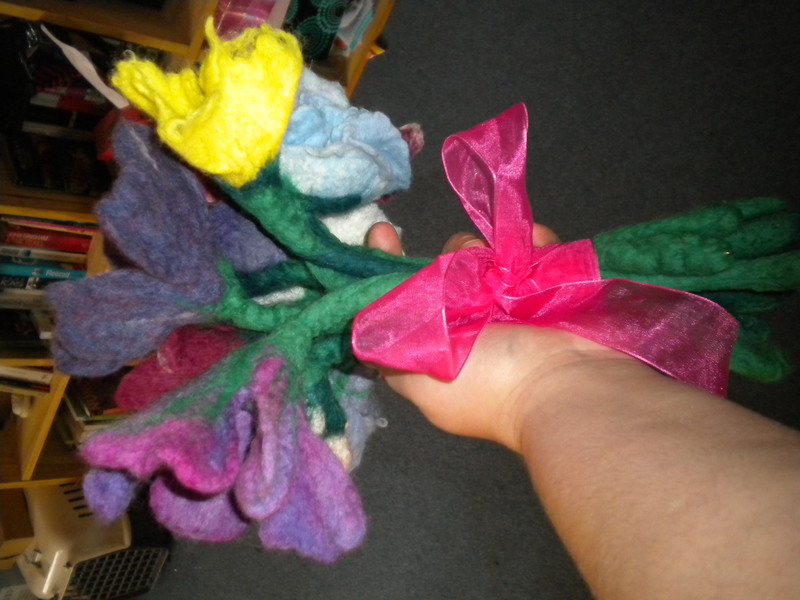 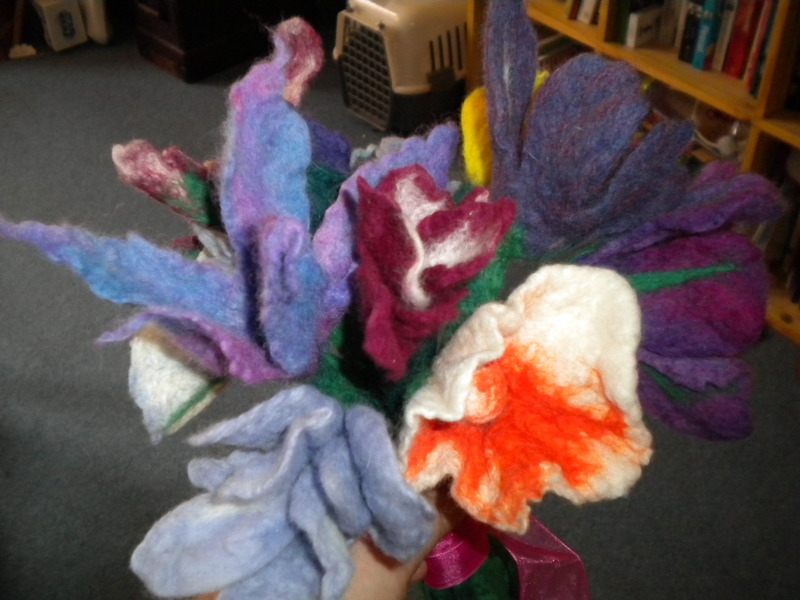 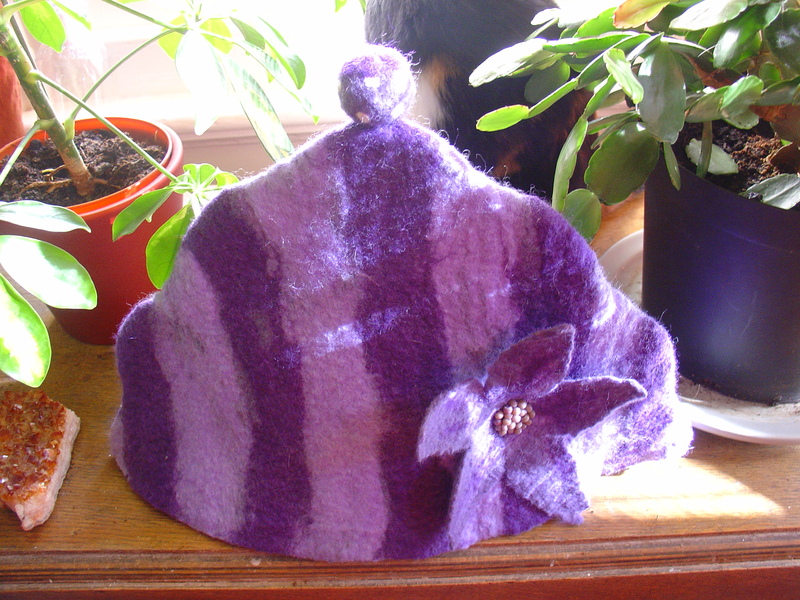 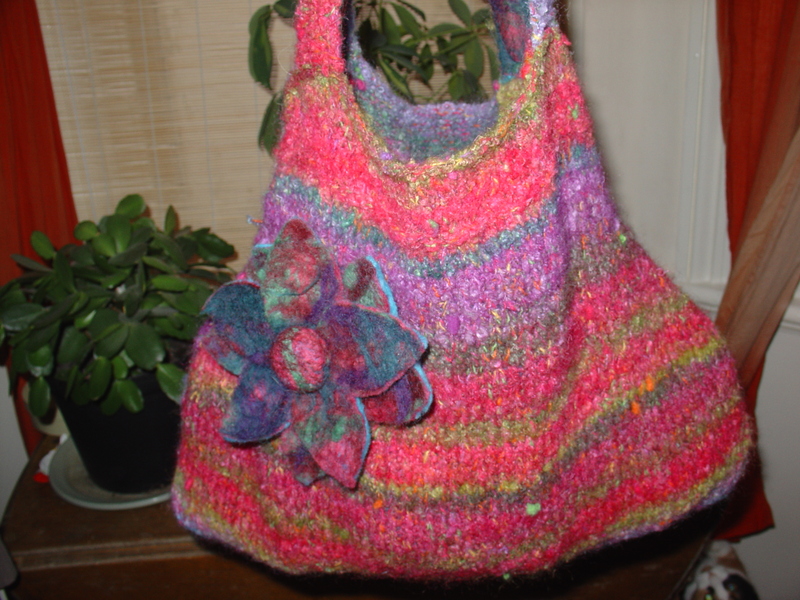 The handle is needle felted and has a flower detail on the top. 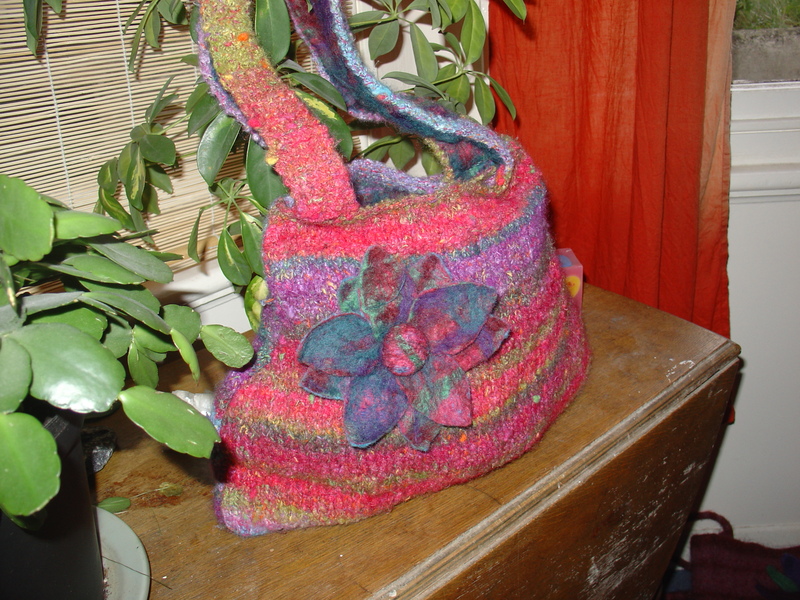 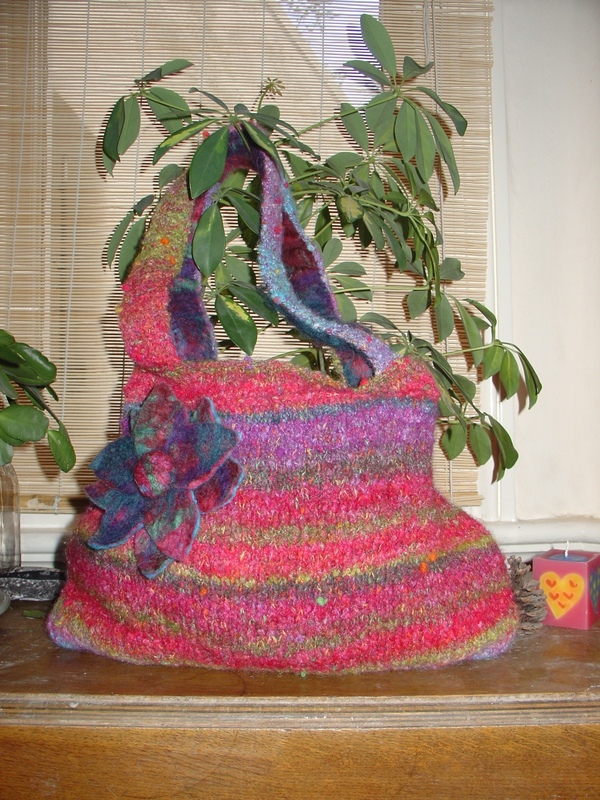 The shape of the Cosy was inspired by a picture of gilliangladrag’s felted tea cosy kits from her website – the rest comes from my imagination. 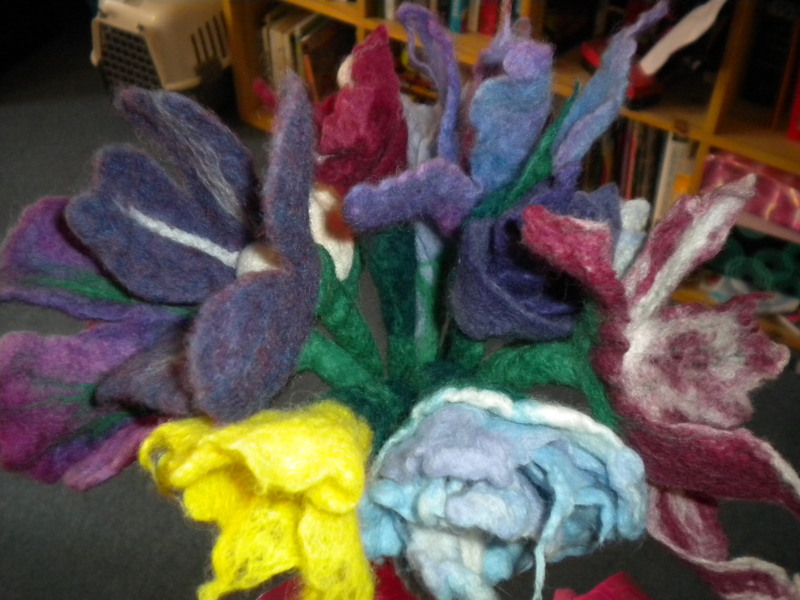 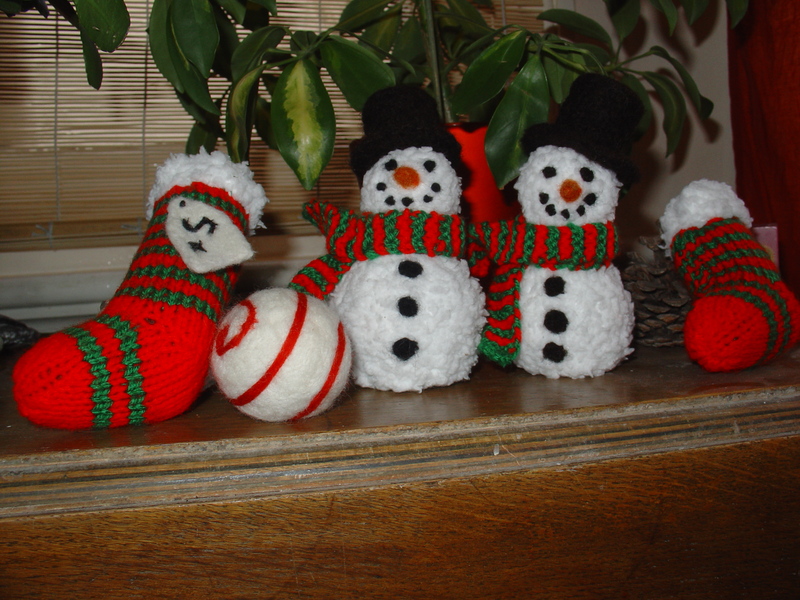 I’ve learned from this project that I should check the placement of the wool more whilst rubbing but I think it can just about pass off as shabby chic (or something)! 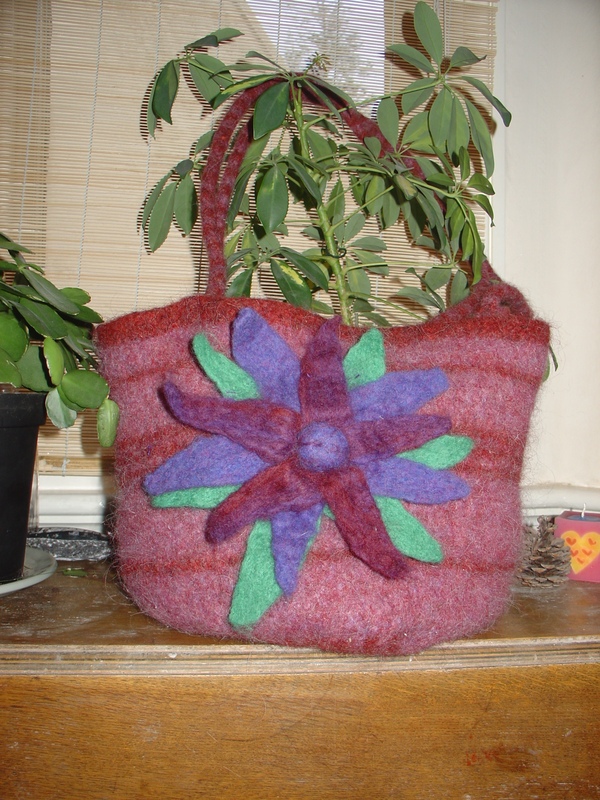 This is going to be a gift for my Mum who is the ultimate tea lover, I hope she likes it. 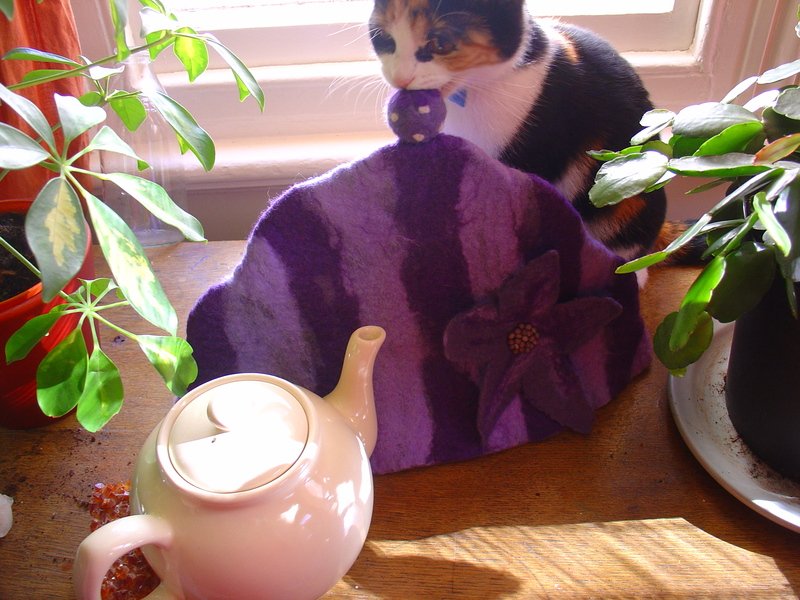 I was going to take some photos of the detail (handle and flower) and a decent one with the tea pot in frame but my kitten decided that she should be getting some attention and plonked herself in easy reach of the tasty wool after digging up the plant soil didn’t make me stop taking photos. 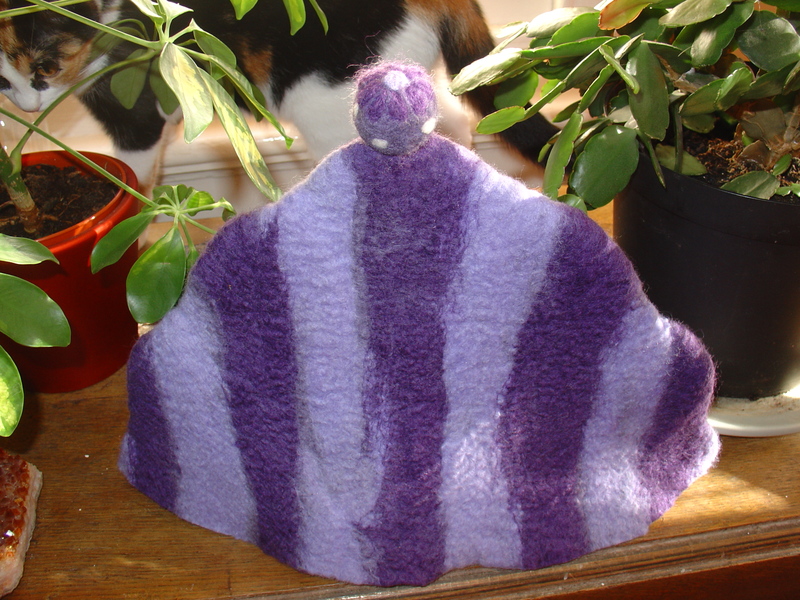 What a silly lovely cat she is! 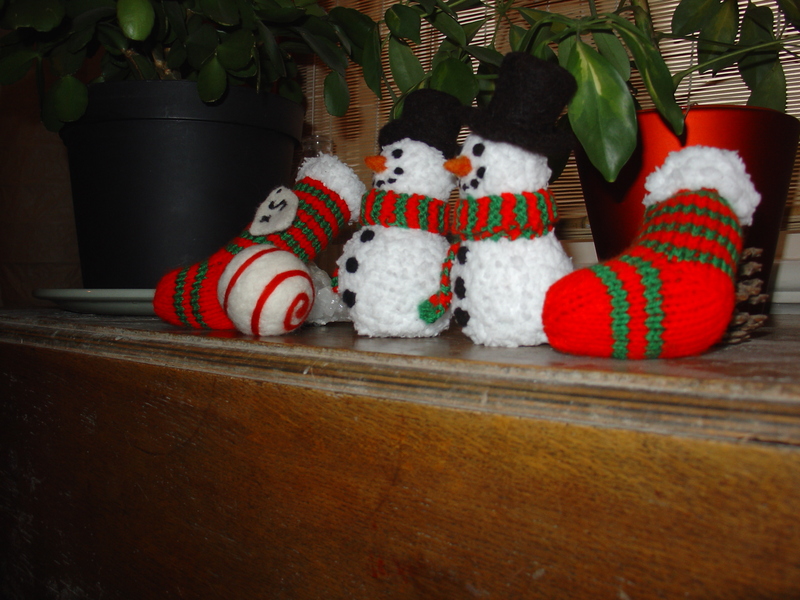 I should be in the photo!